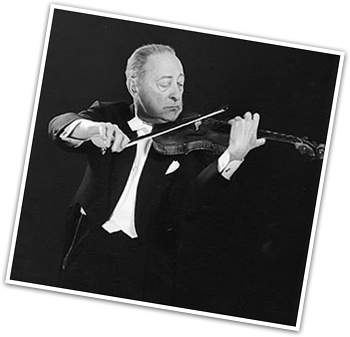 Throughout his career, Jascha Heifetz was known for many wise, amusing, and occasionally perplexing statements that were reported in the press, or shared with family members, audiences, and students. Here are some of the most memorable ones. We continue learning every day of our life. But for some of us, too much formal education can result in getting nowhere by degrees. I feel strongly that every child – not just the musically gifted – should receive some musical instruction. With rare exceptions, children have an instinct for music, are to a certain extent musical, and should be musically developed. For the child’s own future enjoyment and his own satisfaction, he should learn to play an instrument. These days, when we are trying to make things easier for our children, we may be too timid about the process of their learning an instrument. Children should be forced to learn an instrument, gently but firmly. Guide a youngster’s fingers over a piano keyboard, and let him pick out Yankee Doodle. From that moment onward, he will have a heightened appreciation of music. Music has a lot in common with mathematics. But in music, two and two need not make four: they add up to whatever you wish. There’s not a living human being who doesn’t need luck. You need luck every time you give a concert. You worry about weather and transportation. 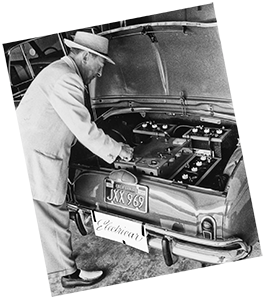 Trains and planes are sometimes late; taxis have been known to break down. Then, at the hall, you worry that a string might snap or the lights fail, or that a page-turner might flip over two pages at once. You always hear of the “delicate, sensitive artist.” I assure you that it takes the nerves of a bullfighter, the digestion of a peasant, the vitality of a nightclub hostess, the tact of a diplomat, and the concentration of a Tibetan monk to lead the strenuous life of a virtuoso. The great compensation, of course, is the human one. In the course of giving concerts, I have been around the world many times. I know literally thousands of people in all parts of the globe. I don’t suppose there’s a place in the world where I haven’t friends. If that’s not a reward for service, what is? Instinctively we recognize good music, and somehow or other, we know the real thing. 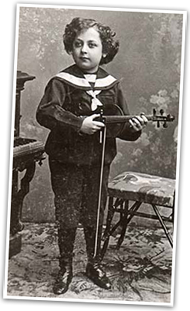 When I have played in country schools where the children had never heard a flesh-and-blood musician in their lives, they listened attentively when I played first-rate pieces. When I played second-rate pieces – as an experiment only – they wriggled and stared out the window. There is no such thing as perfection. You establish a standard and then you find out it is never good enough. When I play a piece well, I always hope that I’ll play it better tomorrow. I have discovered three things that know no geographical borders – classical music, American jazz, and applause as the sign of the public’s favor. We do not need to be educated musically. We simply need to guard against musical miseducation. Our own ears, unless they have grown so used to mediocrity that they have lost their keenness, will do the rest of the job for us.